Now that my son is a toddler, he still in the stage that he sometimes wanted to be healed by his Mama and Papa. He is such a sweet, sweet little boy that I've always left the things/ work I do and snuggle with him. There are some kids who want to be more independent now that they started to walk, he is independent, but I'm just so happy he wants to snuggle with his Mama once in a while. Carrying him now that he is a lot bigger and wants to reach everything he sees sometimes is too tiring. I have to make sure I hold him good because he moves a lot and I don't want to accidentally drop him. I'm very fortunate that I have another way to carry my son and at the same time, my hands are free to do something while he is closer to me. Today, I will tell you about the product that I got for free from Belephant Baby Company. The item arrived in the mail via UPS, I see no signs of damage in the packaging box that I was enthusiast to see the new baby carrier I got from them. · PERFECT MATERIAL - Lightweight, Stretchy, & Sturdy! Our Perfect Blend of 95% Cotton / 5% Spandex makes the Perfect Baby Wrap Sling Carrier! This will keep your baby Comfortable, Tight, and Safe! · MULTIPLE USE - This Wrap can be used as a Sling, Carrier, Breastfeeding Cover, or Blanket Swaddle. Carry, Cover, or Swaddle your Infant or Toddler with this Neutral Grey Color that will match any outfit for any occasion. · INSTRUCTIONS - Includes Step by Step Instructions for a Basic Hold. Machine Washable - Washing Instructions are included. · SHOWER GIFT - These Baby Carriers make excellent shower gifts & presents. · LIFETIME WARRANTY - We value quality and these Wraps are made with quality materials to last a lifetime. If you have any issues at all, please contact the company. Amazing product, I can compare this sling from the previous ones I have from a different manufacturer and I would say, this would be a satisfying baby sling for me. I am not tall nor big, I'm a petite woman and this sling just have more clothing that I've ever wanted and I wanted it that way. The procedure on how to wear the sling is very simple. With the help of the manual that comes with the item, it makes it even easier seeing a very precise figure on how to wear and how to carry the baby. 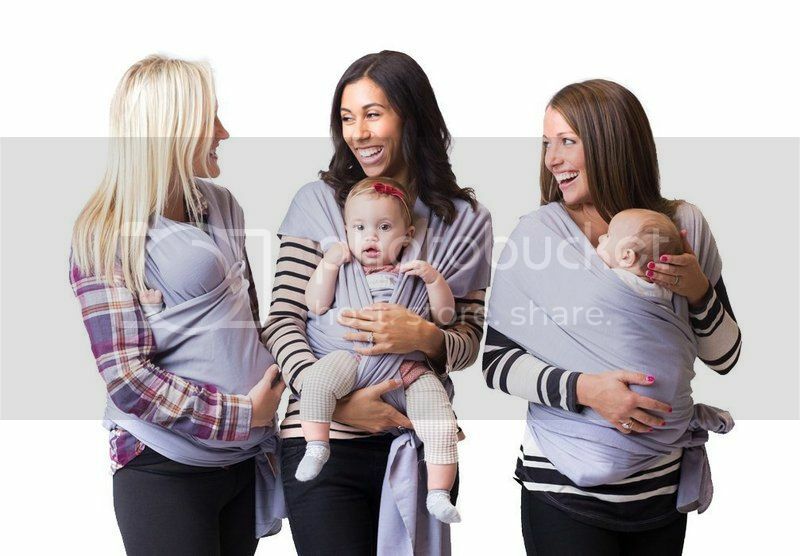 The color Grey is also unisex, now when we will have another child and it would either be a boy or a girl, this baby sling is indeed a very useful color to have. My son is 22-24 lbs and 13 months old, carrying him sometimes is just way too hassle, now that he wants to see and is very curious about what's going on around him. This sling just holds him together, those unstoppable hands just settle in and he feels very comfortable in his position too. The quality of the fabric is also soft, makes it very comfortable for my son and me whenever I used the baby sling. I can also carry it and pack it in my diaper bag, without taking too much space, I love the idea of the tiny storage bag and how I can fold and unfold the sling very quick and easy. For the List Price of $89.00, now it is only for the Price of $24.99 and You Save: $64.01 (72%), in which big enough for you to get one. This is a very nice item for baby showers, gifts for an expected mother. I would highly recommend or buy this product again. I wish I used a wrap instead of a carrier when the twins were younger. This would've been more convenient for us. There's so much baby products these days! I will have to get one of this for my daughter and her newborn. It looks a whole lot easier and more comfortable for both mom and baby compared to conventional baby carriers. What's nice about baby wrap carriers is that these products allow moms to multi-task, that is, carry their babies while working or doing household chores. That's hitting two birds with one stone!